With Hong Kong awash in grandiose construction projects—some completed, others imagined—burnt-out octogenarian tycoons are once again feeling their oats. There are currently enough building proposals on the table to keep their deep pockets lined well beyond the grave, although it is not always clear that this class of billionaires believes they are ever going to die. After all, they’ve bought everything else they have wanted in this life—including, in their estimate, this city’s heart and soul—so why not also throw immortality into their massive shopping carts of container ports, property developments, retail chains, telecommunications companies and much, much more. In today’s Hong Kong, everything that’s old is new again, including, it seems, the city’s tycoons. Gordon Wu. Photo: Education University of Hong Kong. Take, for example, Gordon Wu Ying-Sheung, aka the Destroyer of Wan Chai after his proposal to gentrify the district—with his firm, Hopewell Holdings, of course winning the development contract—was embraced by the Urban Renewal Authority back in 1998. The URA decision launched a massive urban face-lift that would forcibly oust long-time residents and small, family-run businesses while bringing the wrecking ball to historic sites such as Lee Tung Street, popularly known as Wedding Card Street for its now-defunct print shops specialising in wedding invitations. 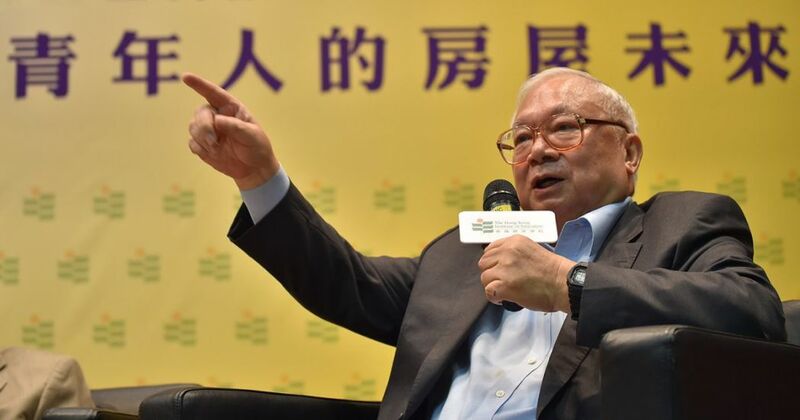 More recently, Hopewell’s 82-year-old founder and chairman had largely disappeared from public life, allowing his son, Thomas Jefferson Wu, Hopewell’s managing director, to run the corporate show. 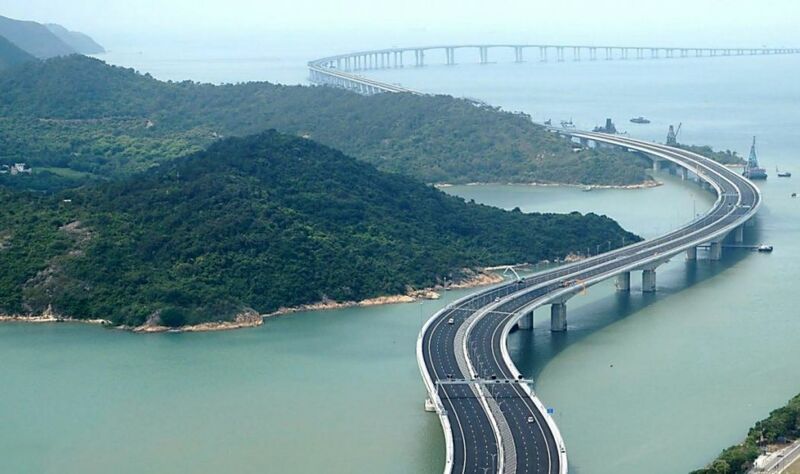 With the opening last month of the 55-kilometre Hong Kong–Zhuhai–Macao mega bridge, a version of which was first proposed by Wu to the Zhuhai municipal government in 1983, the ageing tycoon has stepped back into the limelight, however, and in some quarters, especially his own, is now being hailed as a misunderstood visionary. 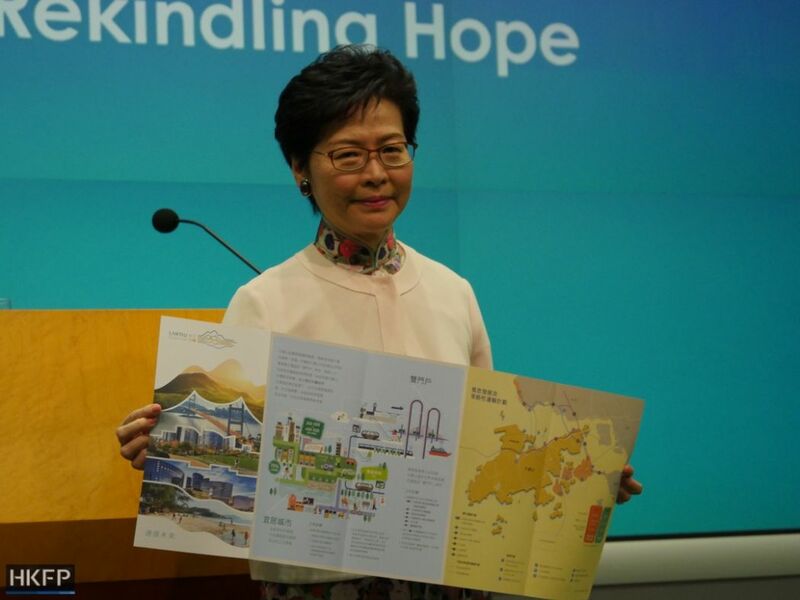 Further boosting Wu’s ego, the Hong Kong government’s prodigious, environmentally frightening and economically profligate plan to reclaim up to 1,700 hectares of land east of Lantau for the purpose of housing over a million people, announced by Chief Executive Carrie Lam Cheng Yuet-ngor in her October 10 policy address, is remarkably similar to a rejected proposal that Wu brought to the city’s colonial British administration in the mid 1980s. Once again, at least in his mind, the seer-tycoon has been vindicated. And that’s why Wu was perhaps the happiest of the 700 invited guests when the world’s longest sea bridge was finally officially opened by Chinese President Xi Jinping on October 23 after many delays and cost overruns, not to mention the more than 600 work-related injuries and 10 deaths that are associated with its construction. 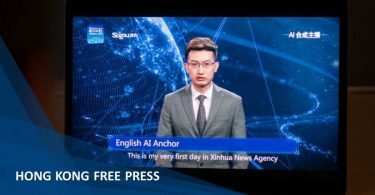 Since that day of dubious celebration and self-congratulation, a reinvigorated Wu has stepped brazenly back into public life with a typically extravagant new proposal that would reclaim more than 3,000 hectares of land around Lantau. That nearly doubles down on Lam’s Lantau Tomorrow Vision scheme and would, the tycoon claims, forever solve Hong Kong’s housing needs. It would also, he fails to mention, keep Hopewell’s infrastructure-building business going gangbusters for the next 20 to 30 years, wreak untold damage on the environment and produce enough housing for a city of 10 million people when official estimates project that Hong Kong’s population will peak at 8.2 million by 2043. By the way, the cost of such an enormous reclamation project could be as much as HK$1 trillion, and Hong Kong taxpayers would foot the bill. But there is good news: it’s not going to happen—not Wu’s plan, not the Hong Kong government’s plan and not the 2,200-hectare reclamation blueprint also put forward by Our Hong Kong Foundation, the think tank founded by former chief executive Tung Chee-hwa, another tycoon woefully out of touch with reality in Hong Kong today. And here’s why: blind arrogance, aristocratic condescension and supercilious contempt. Those quintessentially colonial attitudes, passed down from our British overseers over their 156-year-rule of the city, no longer play to a 21st-century Hong Kong audience. Back in the day, business barons such as Tung, Wu, Li Ka-shing, Lee Shau-kee et al. were treated as royalty in Hong Kong; now they are resented as a coddled and privileged minority with undue influence over government policies that virtually ignore the poor and favour the uber rich. This erstwhile business nobility, along with enabling government officials from the chief executive on down, have become living, breathing symbols of Hong Kong’s shameful wealth gap, one of the worst in the developed world, and of the profound disconnect between a population that yearns for democracy and a business and bureaucratic elite that, dancing to Beijing’s autocratic tune, won’t let them have it. For the record, as far as we know, there were no Cheung Chau grannies involved in the protest that day, but green groups, supported by environmental experts, have roundly condemned Lantau Vision Tomorrow, and the Hong Kong public clearly does not support reclamation on such an unjustifiably grand and colossally expensive scale. 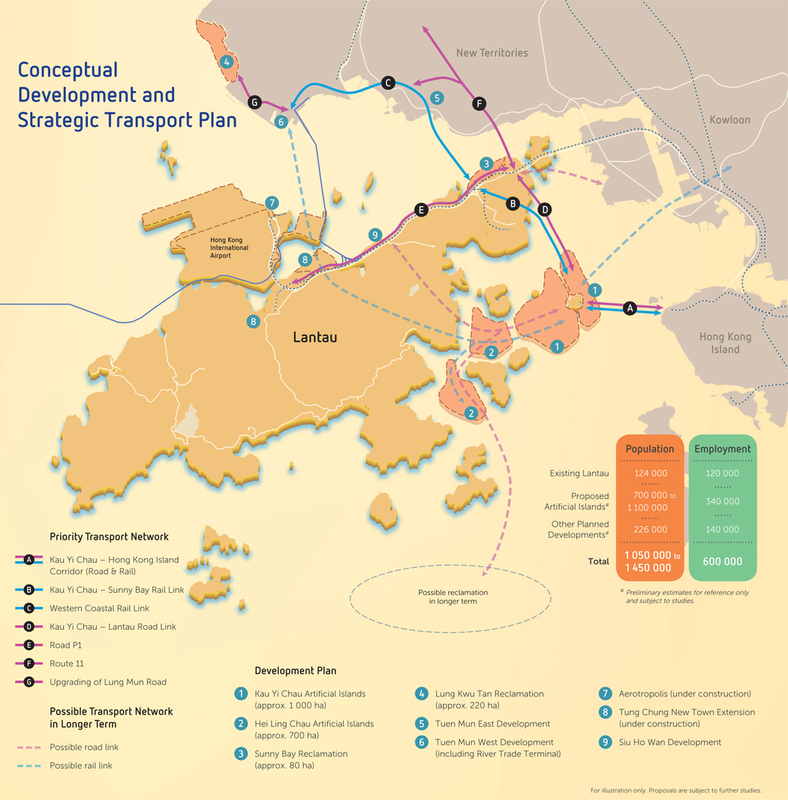 Indeed, it was an act of supreme arrogance for Lam to propose such a Brobdingnagian project before the Task Force on Land Supply, appointed by her own government, had completed its report on a five-month public consultation on this, one of Hong Kong’s biggest, most divisive and controversial issues. That report quite likely will not lend support to the government’s ill-considered master plan. In the face of strong public opposition that clearly goes well beyond Hong Kong’s Cheung Chau contingent of green grannies, let’s hope east Lantau does not become yet another white-elephant gift to developers from city officials who put the interests of tycoons above those of ordinary people. Let’s hope arrogance, too, has its price.